The Georgian song for this year’s Junior Eurovision Song Contest will be released tomorrow. Georgian broadcaster GPB has announced that the Georgian song for this year’s Junior Eurovision Song Contest will be revealed tomorrow, along with the official music video. This follows the news that a snippet of the Georgian Junior Eurovision song had been revealed. GPB had released a news report which showed Georgian entrant Grigol Kipshidze preparing for the contest. In this report, there’s a snippet of the song he will sing this November, composed by Giga Kukhianidze. A few months ago GPB launched a contest to select their Junior Eurovision song and had selected the composition by Giga Kukhianidze. Giga has composed the majority of Georgia’s Junior Eurovision entries, including all three of their winning songs (“Bzz”, “Candy Music”, and “Mzeo”). 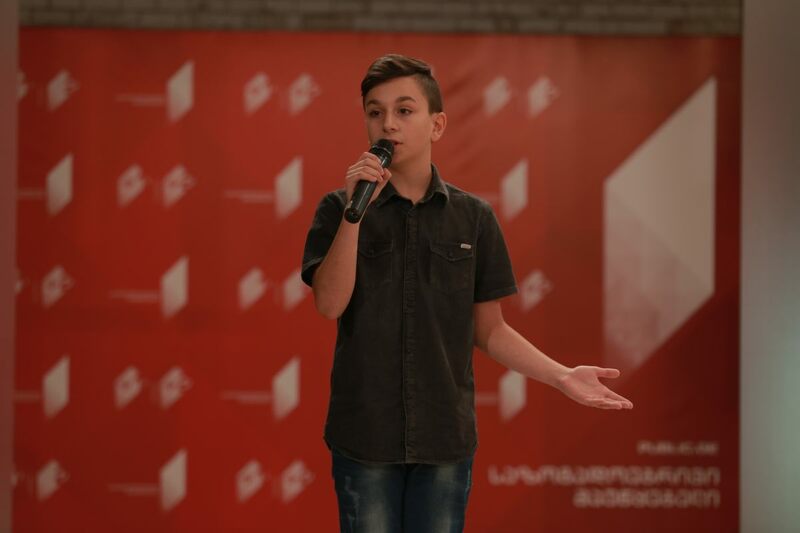 Grigol Kipshidze will represent Georgia on home soil at this year’s Junior Eurovision Song Contest in the Georgian capital Tbilisi. Born in 2005, Grigol has participated in several competitions and was even a finalist of The X-Factor Georgia in 2017. Most recently, Grigol has won the Star’s Voices Grand Prix in Switzerland. Georgia have won the contest on three occasions, making them the country with the most victories throughout the history of the contest. Georgia debuted in JESC in 2007 with Mariam Romelashvili and her song “Odelia Ranuni”, where she placed 4th with 116 points. Their first win was just a year later in 2008, with the trio Bzikebi and their song “Bzz”. Their second win was in 2011 with the group Candy and their song “Candy Music”. Most recently in 2016 eleven-year-old Mariam Mamadashvili performed her song Mzeo in JESC 2016 host city Malta, and took the victory with 239 points. Alright! Let’s just hope no one complains about it.